Rainwater harvesting („siembra y cosecha de agua de lluvia – SCALL“) is a hydrological technology of peasant farmers with a long-term vision. Its holistic approach is based on the Andean worldview called "water breeding” (“crianza de agua”). It is a collective practice in response to growing water scarcity. 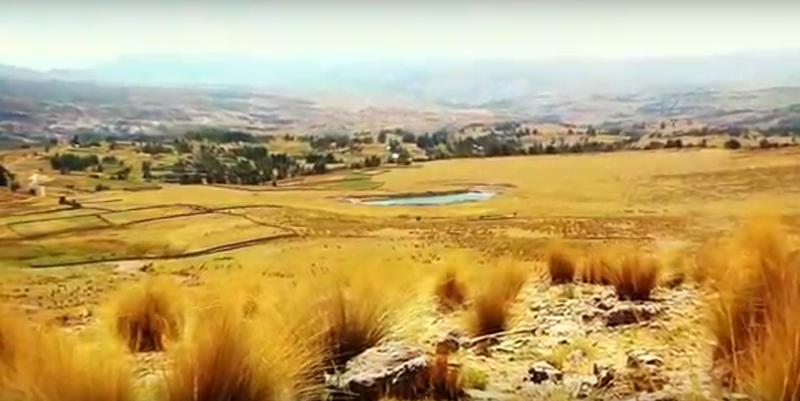 The experience combines green infrastructure with cultural, social and environmental practices as part of a program to recover Andean dry farming agriculture in harmony with the territory. The communities of the Chuschi district were the initial location of the armed conflict in the country (1980-2000). Their social and territorial organizational model was lost, submerging them in a deep crisis (damages and destructions, with their effects and consequences). Additionally, attempts to introduce inappropriate agricultural modernization practices in the territory, and increasing water scarcity for pastures and animals are complicating the situation. Rainwater harvesting aims at addressing these social and environmental challenges. Direct: 4047 community members of Quispillaccta. Indirect: 8400 inhabitants of Chuschi, Paras, Vinchos and Sarhua. In addition, 45.000 consumers of drinking water of the city of Ayacucho and 9.000 commercial farmers in the lower part of the watershed. 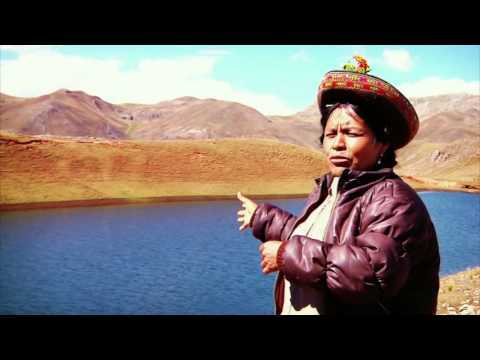 The water harvesting includes a range of technical and cultural actions that are implemented within the framework of the process of recovery and strengthening of Andean peasant agriculture that the community has applied since 1991. This requires the interaction of the three building blocks: 1) Strengthening the local organization - valuing local knowledge and practices, 2) Maintenance of the farms and the landscape, 3) Recovery of collective rituals associated with water conservation and use. Among these three components a network of dynamic interactions of mutual implications arises. The three components are mutually dependent in such a way that the ways in which each of them develops depends to a large extent on the others. All three involve social relationships, different forms of communication, information and affective networks. Nevertheless, it should be noted that the heterogeneity of the territory and the resulting worldviews are absolutely central and inherent in the whole process. The benefits are diverse, highlights include the formation of lagoons, recharge of springs, a better relationship with nature, valuation of culture and a perspective of ecosystem service provisions to the city of Huamanga. 102 built rain gaps, which store approximately 2.000.000 m3 of water. Emergence of new springs (puquiales or ojos de agua – „fresh water eyes“), increased water flow of existing springs and permanence of those that were temporary. Water recharge rate increased by 54%; which generates a greater supply of water to the villagers and the city of Ayacucho during the year, compensating for the water deficit due to climate change. Increased vegetation cover by 51%; due to reduced grazing in open areas and reduced grazing hours. Consequently, improvement of the livestock production and better food supply and economic income of the families. Increase of available water or soil moisture between 55% to 75%. Reduced tensions between families and communities due to (better) access to water. Girls and women have more time available to perform other activities that were previously not allowed, such as recreation. Girls also attend school. Rainwater harvesting is based on rainwater collection, like qucha chapay (“catching” water from temporary lagoons), qucha ruway (making new lagoons), and puquio waqaychay (nurturing springs). The revitalization of collective rituals aims at the (re-)creation of a different human, with high sensitivity and capacity for open and continuous conversation, because only thus can we create the harmony that is convenient for all others (humans, nature and deities). Rituals are manifestations of respect and affection for everything, and a ritual activity is nothing but a collective and collaborative action among all. It means that humans do ayni (cooperation, solidarity, mutual support) with nature and with deities, which is what yarqa aspiy (cleaning of water channels) shows us: humans in reciprocal action with the water that celebrates its “birth”. Without the social support and without the rituals, neither the conservation of biodiversity nor the maintenance of the landscape would be possible. Reciprocity serves not only to help families in agricultural production, but also provides support in all aspects such as in the health of the family, in the marketing of products, in the education of children. Social support, agrobiodiversity on the farm and personal and communal well-being are positively reinforcing each other. These three components are generally related to human relations, and considered as a whole, it is an interweaving of regenerative actions. Water “sowing” works by making the rain behave like seeds in the meadows, just like a seed of corn is deposited in a furrow, the rainwater is deposited in natural hollows. Rainwater harvesting has allowed the dissemination of the practices of sowing and harvesting rainwater for the adaptation to climatic change - not only to face the dry season but also to face frost, hail and other climatic phenomena.